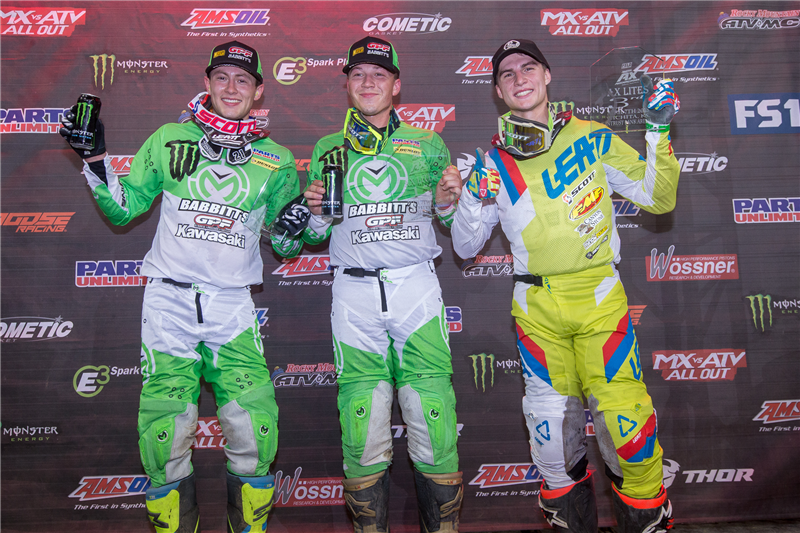 It was another near perfect weekend for the GPF AX team in Wichita Saturday night for the 9th round of the Amsoil Arenacross series. Ryan Breece continued his perfect record in the Lites class by leading every lap of his heat race and main event in a dominating performance extending his points lead in the Lites West championship. In the AX Ryan also battled at the front running 2nd for most of the first main event before accidentally jumping off the track. He would recover to finish 4th. In the second main event Breece went down but again recovered to come back to 5th giving him 3rd overall. 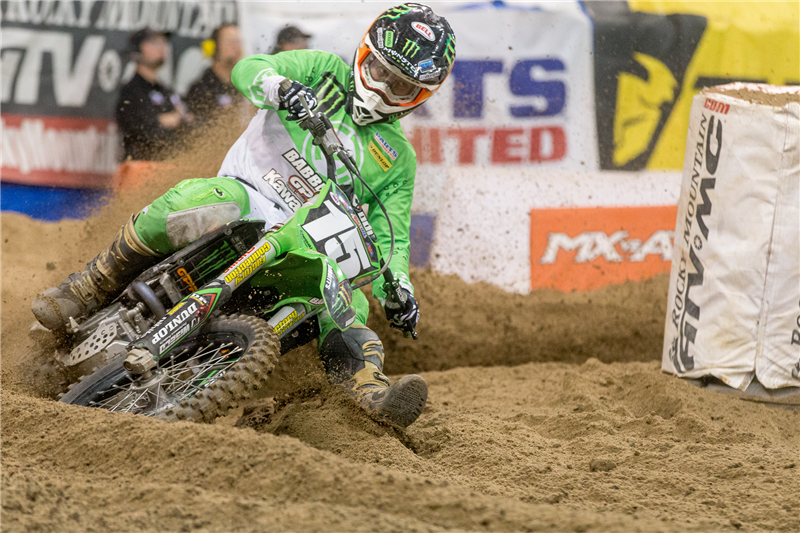 It was his second podium in a row in the premier class for Breece. Isaac Teasdale finished a solid 2nd in the AX Lites class for the 3rd week in a row behind his teammate with a excellent ride moving through the pack. 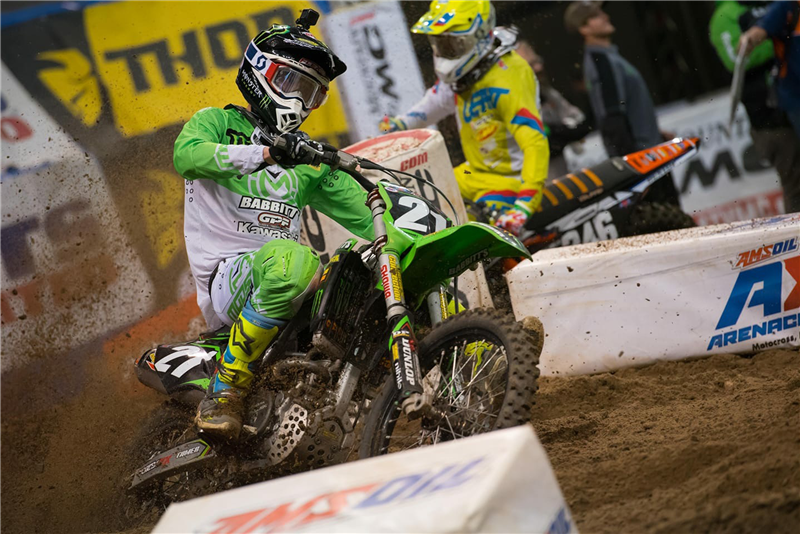 In the AX class Teasdale finished 5th in the first main event and ran as high as 4th in the second main before going down doing some damage to his bike which resulted in a 14th and 11th place overall. With a weekend off before the 3 remaining rounds the GPF team riders look to keep the momentum rolling and look forward to more podiums in Portland, OR in two weeks.